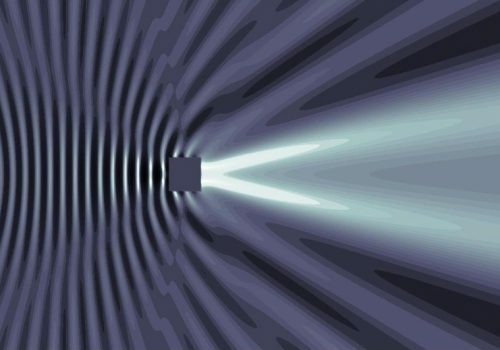 The Special Interest Group for Numerical Methods in Acoustics (SIG-NMA) will bring together researchers and practitioners developing and using numerical techniques to address acoustical challenges. The aims of the group are aligned with those of the Network, focusing in particular on generating and developing research activity in computational methods to facilitate the targeting of key national and international research challenges and priorities. The SIG will act as a forum for those working with diverse numerical methods to exchange ideas and to address the critical issues such as multi-timescale, multi-length scale problems, validation and benchmarking, optimisation, parallelisation and acceleration techniques. The SIG will also facilitate access to and sharing of computational resources in order to accelerate the UK’s position in this field. Since numerical methods are an underpinning technique for a diverse range of acoustics applications, the SIG-NMA will work closely with other SIGs to ensure the key applications for numerical methods are addressed. In particular, the SIG-NMA will coordinate with the Physical Acoustics Group within the Institute of Physics recognising the necessity of close interaction between mathematical and analytical modelling and numerical techniques. The SIG-NMA will encourage participation and contributions from industrial developers and users of numerical methods. Computational Acoustics SIG event, 20th Febuary 2018, Birmingham. Please see here for more information. A range of activities is proposed. The SIG-NMA will run an annual summer school event for early career researchers (ECR) will be run in conjunction with the whole network. The event is open to senior SIG representatives of the acoustics community to lead some activities and to provide guidance for others. Some activities for this event would include professional development, leadership, team working, managing your supervisor, making your voice heard, presentation skills, planning your career development and media training. The other activities will be technical presentations by leading researchers, industrial users or commercial partners. These presentations will facilitate discussions focussed on identifying key challenges in this field of research. Brainstorming session. Identifying research growth areas, pooling problems that need addressing. These activities will be followed a sandpit to develop competitive proposals for pilot studies to be funded by the Network. Secondly, the SIG-NMA will support short exchanges for ECRs, advanced researchers, industry users or commercial developers to work in another organisation in the UK in acoustics, whether academic or commercial. This activity will promote training, interaction and cross-fertilisation of ideas and techniques. Finally, the SIG-NMA will support outreach activities that will be coordinated centrally for the Network. Media training can be included in the summer school event for ECRs or funded separately. A section on Numerical Methods will be compiled by group members and developed into an acoustics Wiki. A brief introduction to each numerical technique will be available through this resource, with links to further information, recent papers, commercially available software and users providing commercial consultancy.